The box contains around 4-6 deluxe sized, sample or full-size makeup and beauty products from different brands. The products are often fixed and common for all subscribers. If you are prebooking this box for 6 months and above, you will get a discounted price. Given my experience thus far, I think it is a good box to consider. Do check out my previous reviews on my blog and YouTube Channel to know about the products received, value for money, how to use different products from this box and more. I came back from my trip to find a cute MEB box waiting for me. Notwithstanding my eagerness to quickly open the box and check all the contents, I have unboxed this box and filmed the same. Important to note: There are 4 different shades of Lipcolor and highlighter that team MEB will be packing in the box. I have got shades namely- White Christmas [highlighter] and Peach Glow [Lipcolor]. You can, however, choose your combo by visiting this link on their website. I hope you liked this video. If you do, do SUBSCRIBE TO MY YOUTUBE CHANNEL so you will be notified everytime I upload a new video. So what is the special about this month's MEB? Well, if you have subscribed to any box ever, you would know the joy of receiving your monthly subscription box. I am very excited to get my box every month. It is not just a great way to try and learn about different beauty brands and their products, but also a great [read elite looking at an affordable price] gifting option. 3) Attractive design: You can keep the box or use it for gift pack purposes. The design and execution are classy. Check the lovely box design. 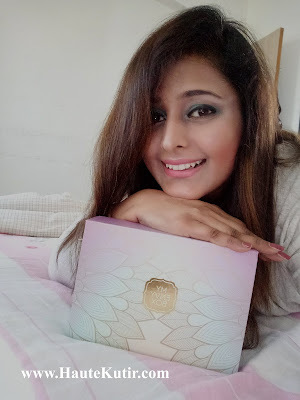 5) Introduction of a new brand La Miore in this box: It's a good idea to sometime try new cosmetics. And that is what beauty subscription boxes are popular for. In this month's box, there are 4 different combos available for you to select. Check the link above for selecting your preferred combo. 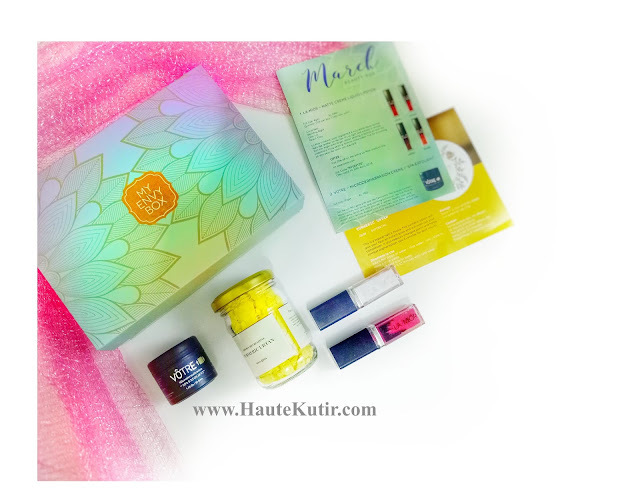 6) Highly usable products: The box contains a widely used Ubatan mix, a spa good scrub from an international brand Votre, a lipstick and a highlighter that I am sure will not be stowed away and will be used in daily life. 7) Product/Box discount: The box MRP is Rs 850 but you can get it at a discounted rate. check their website for offers. Also, if you like the products esp the newly introduced one, you can buy more variants from their website by availing a 20% discount. While I am happy with all the products and the brands, the one product that I am looking to try most is the Liquid Highlighter. Check my video for the form factor, color, and more details. So, what are you waiting for? Go ahead and book your own box and if you already did, do share your experience with me.